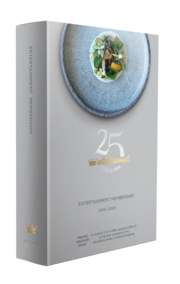 2019 / 2020 Entertainment Books are NOW available. By purchasing your book through RDASA you can help support our fundraising to assist with improving service to our clients. If you purchase it early you can also enjoy bonus offers. For only $70 you can enjoy a whole year of fun and discount offers on food, variety of dining, travel, retail, attractions and activities for the whole family. Books can be collected from the State Office at 3A Majors Rd O'Halloran Hill. Digital subscriptions are now also available.